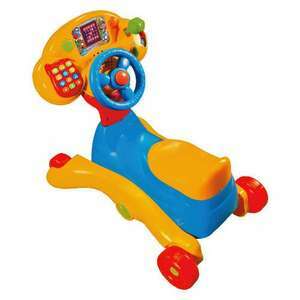 The Vtech Grow and Go ride-on is a 3-in-1 rocker, ride-on and sit-down. The detachable driver panel comes packed with realistic car features and an LED screen that introduces age appropriate curriculum. The LED display flashes up letters, numbers and animations to promote learning. My boy loves his one that we got last year.